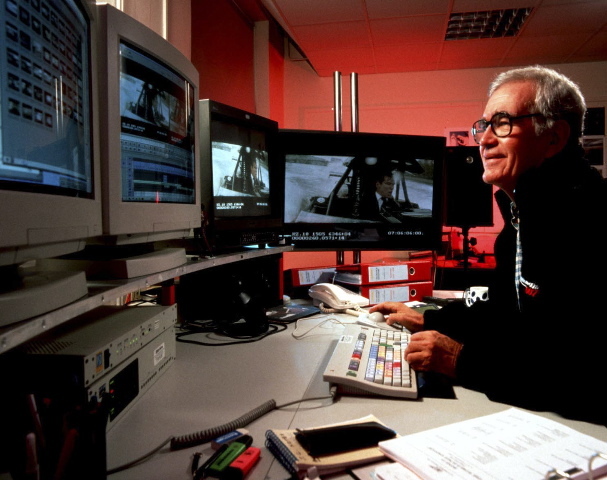 The late film editor Jim Clark was born in Boston, Lincolnshire, in May 1931. He was 20 when he made his way to London, and the film industry. Starting in lowly positions he was soon a trainee at Ealing, the world-famous studio which specialised in comedy films. The first film that Jim worked on was The Titfield Thunderbolt. He was also assistant on The Ladykillers and The Cruel Sea. After his first marriage, he became assistant on The Prince and the Showgirl and many other movies. Being asked by Stanley Donen to edit his film Surprise Package was Jim’s entry into the world of film editing, and was followed by The Grass Is Greener, and The Innocents, which was his breakthrough film. His second marriage was after meeting his wife on Charade in Paris. After meeting director John Schlesinger he edited several films for him, largely re-cutting Midnight Cowboy. He continued editing for some years before graduating briefly to direction. Returning to the editing room he was responsible for the final cut of The Killing Fields and The Mission. He then became a v.p at Columbia Studios in Hollywood before returning to England to edit Memphis Belle, and the James Bond film The World Is Not Enough. Later Jim worked with Mike Leigh, editing Vera Drake and Happy-Go-Lucky. He retired in 2008, and died in 2016 after a long illness. The book of memoirs, often scurrilous, is a rarity. Film editors very often decline to write their memoirs since they could be deemed inflammatory. This is no exception. You won’t find much instruction in this book, but a good deal about what it felt like to be part of the industry – warts and all.